From the earliest days of our solar system’s history, collisions between astronomical objects have shaped the planets and changed the course of their evolution. Studying the early bombardment history of Mars, scientists at Southwest Research Institute (SwRI) and the University of Arizona have discovered a 400-million-year lull in large impacts early in Martian history. This discovery is published in the latest issue of Nature Geoscience in a paper titled, “A post-accretionary lull in large impacts on early Mars.” SwRI’s Dr. Bill Bottke, who serves as principal investigator of the Institute for the Science of Exploration Targets (ISET) within NASA’s Solar System Exploration Research Virtual Institute (SSERVI), is the lead author of the paper. Dr. Jeff Andrews-Hanna, from the Lunar and Planetary Laboratory in the University of Arizona, is the paper’s coauthor. The early impact bombardment of Mars has been linked to the bombardment history of the inner solar system as a whole. Borealis, the largest and most ancient basin on Mars, is nearly 6,000 miles wide and covers most of the planet’s northern hemisphere. New analysis found that the rim of Borealis was excavated by only one later impact crater, known as Isidis. This sets strong statistical limits on the number of large basins that could have formed on Mars after Borealis. Moreover, the preservation states of four youngest large basins — Hellas, Isidis, Argyre, and the now-buried Utopia — are strikingly similar to that of the larger, older Borealis basin. The similar preservation states of Borealis and these younger craters indicate that any basins formed in-between should be similarly preserved. No other impact basins pass this test. The new results reveal a surprising bombardment history for the red planet. A giant impact carved out the northern lowlands 4.5 billion years ago, followed by a lull of approximately 400 million years. Then another period of bombardment produced giant impact basins between 4.1 and 3.8 billion years ago. 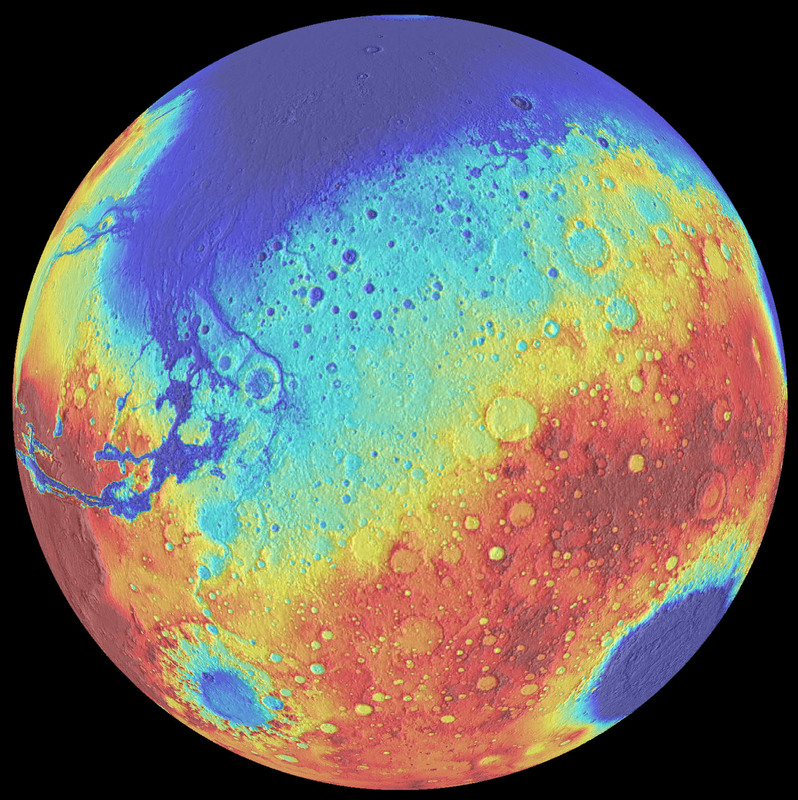 The age of the impact basins requires two separate populations of objects striking Mars. The first wave of impacts was associated with formation of the inner planets, followed by a second wave striking the Martian surface much later. 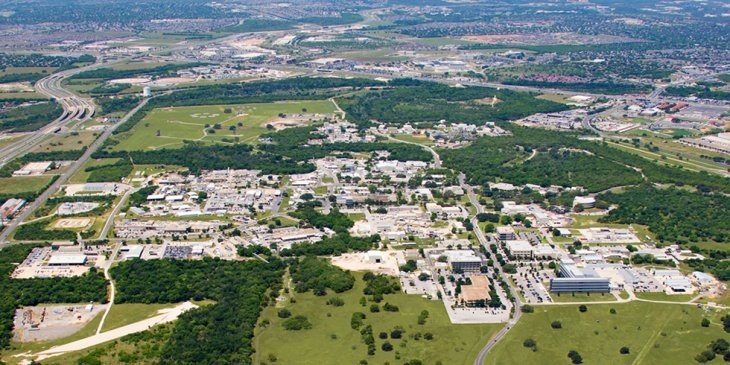 SSERVI is a virtual institute headquartered at NASA’s Ames Research Center in Mountain View, California. Its members are distributed among universities and research institutes across the United States and around the world. SSERVI is working to address fundamental science questions and issues that can help further human exploration of the solar system.